Summertime is the right time to let loose! Try a new hairstyle or update your color. 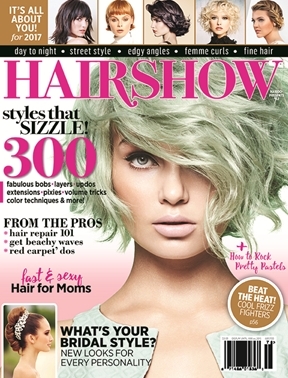 But before you do anything, be sure to check out this issue for 100s of amazing ways to nail your perfect look. • Save your strands from dryness and frizz with our tips for surviving the heat. • Find out how to keep skin and hair fresh on your vacation (plus our fave TSA-friendly buys). • Top stylists share their #1 beauty product, right-now obsessions and insider tricks to getting the hottest looks. • Learn 5 habits that’ll help your hair grow fast, long and strong. Plus, learn whether hair extensions are right for you.